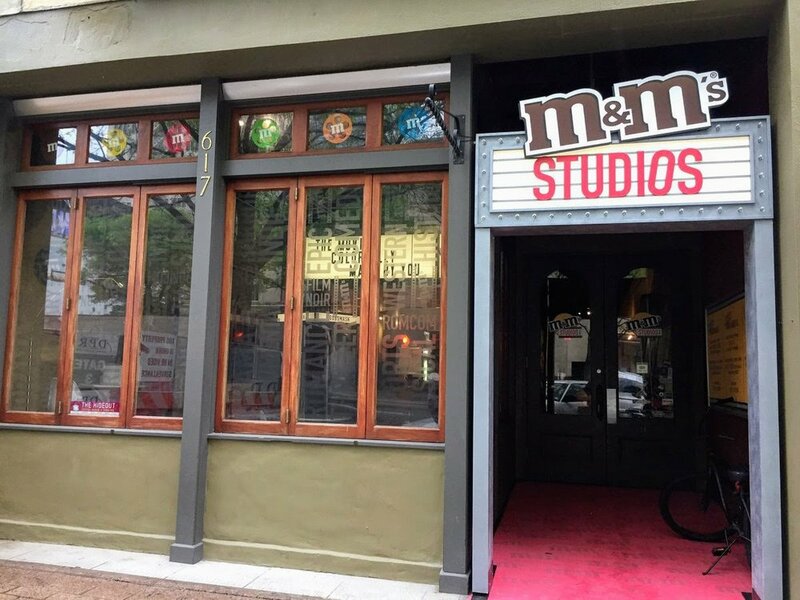 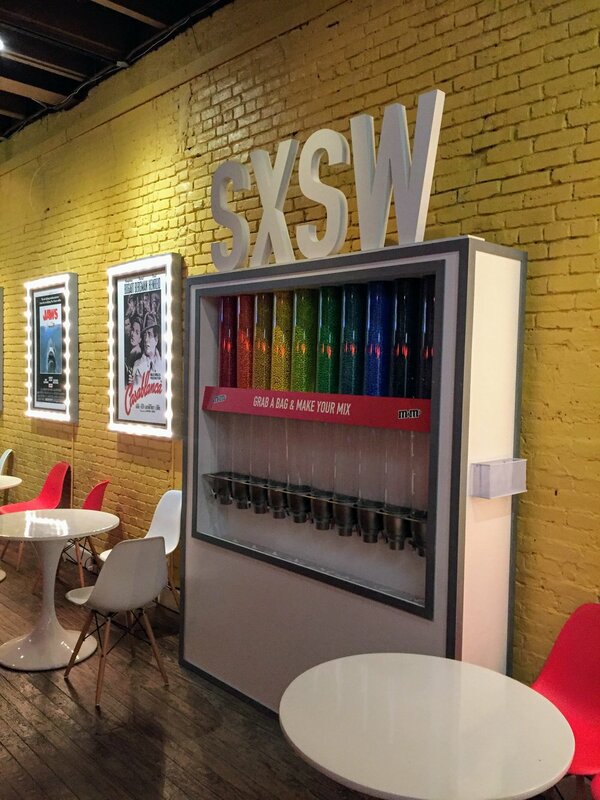 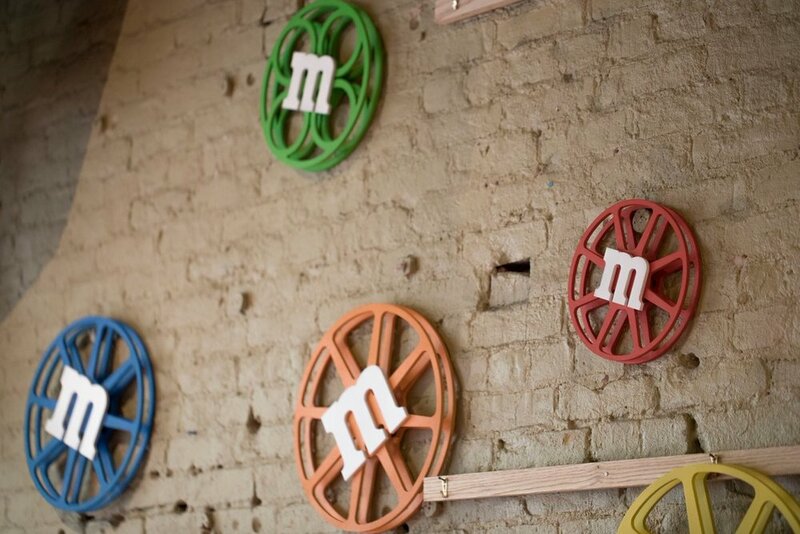 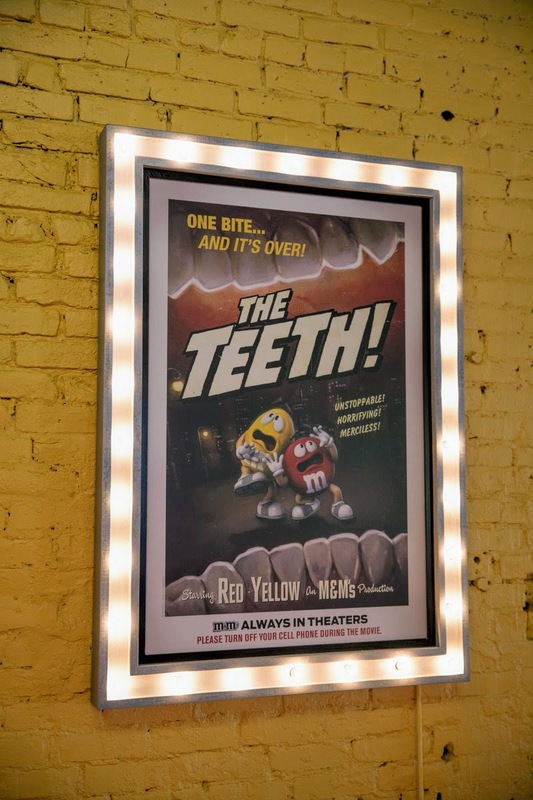 We were thrilled to be a part of M&M’s premiere this year at SXSW. 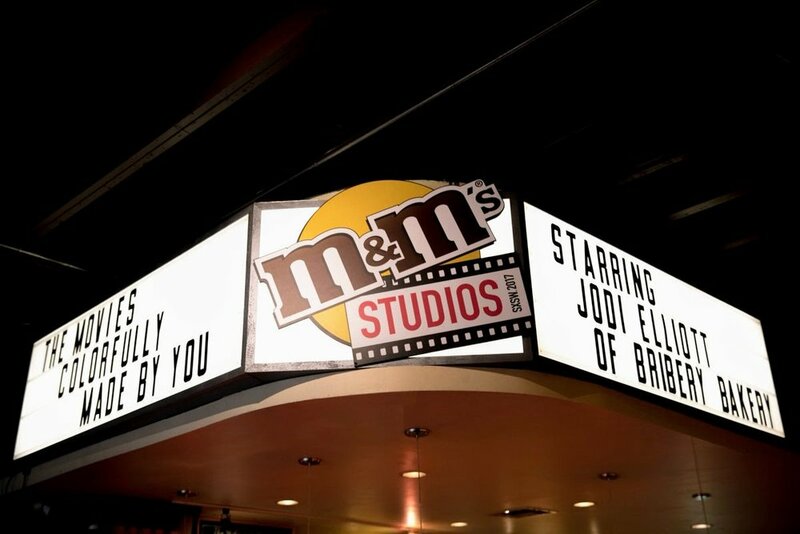 We helped fabricate a studio where festival-goers could learn about candy’s importance in the movie theater experience. 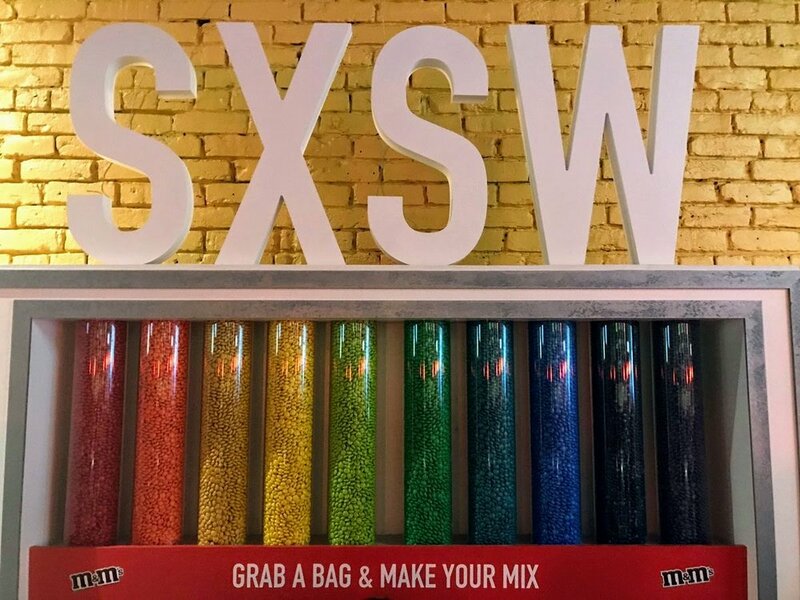 We made a custom candy dispenser, “Dubsmash” booth, and decorative elements. 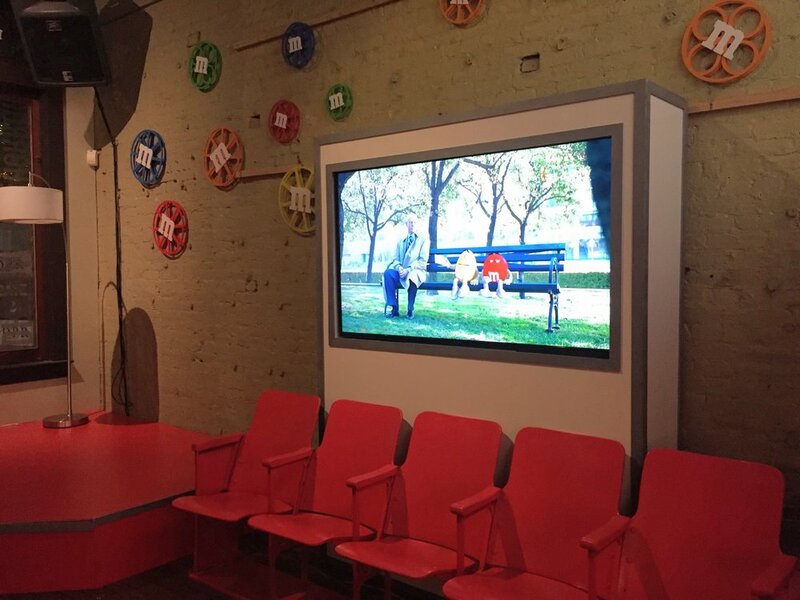 Custom signage, film reels, and vintage auditorium seating all contributed to the vibe of the activation.